We create wood products for outdoor learning environments, playgrounds, nature play areas, museums, child care centers, and parks. Our products are 100% natural, made from locust wood. 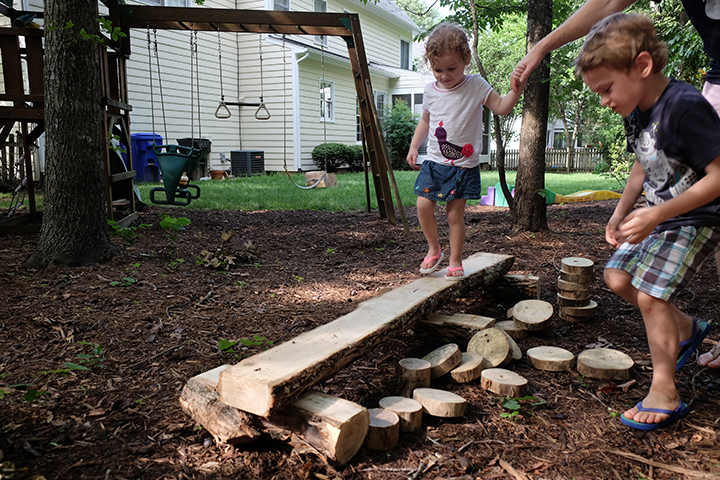 Our wild workshop makes products that engage kids with nature, provides them with authentic natural loose parts, and promotes imaginative exploration. Most of our products are made from locust wood, which is known to last for a very long time under harsh outdoor conditions. The wood naturally repels insects and rot, making it the perfect material for use outdoors. If you haven't heard of locust before, please ask us about it. We're always happy to help you discover how nature can be used to your benefit!